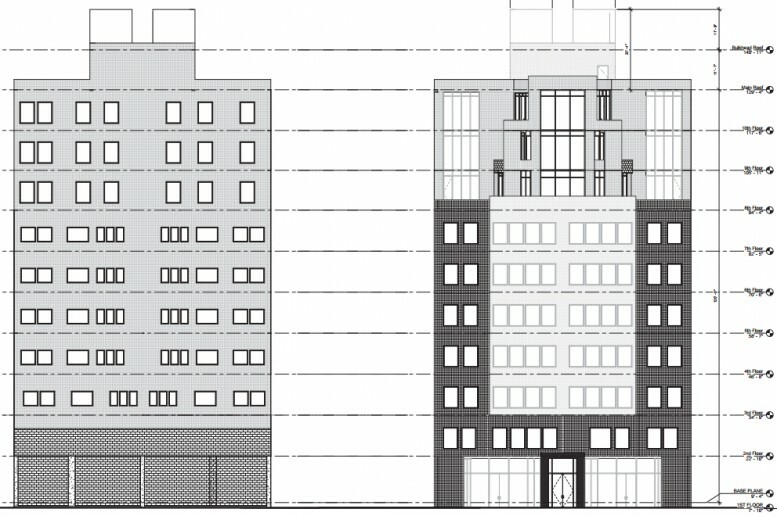 Back in September, YIMBY reported on the first permit filings for a new 10-story residential building at 514 West 24th Street, which Roman and Williams is designing. 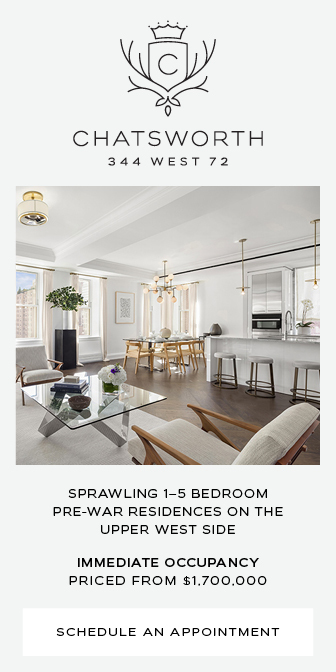 Now, we can reveal the first drawings and floorplans for the project, which is under development by JDS and Largo, and will soon rise next to the recently-completed 508 West 24th Street. 514 West 24th Street will span 50,000 square feet in total, with 10,000 square feet to be used as commercial space on the ground floor. 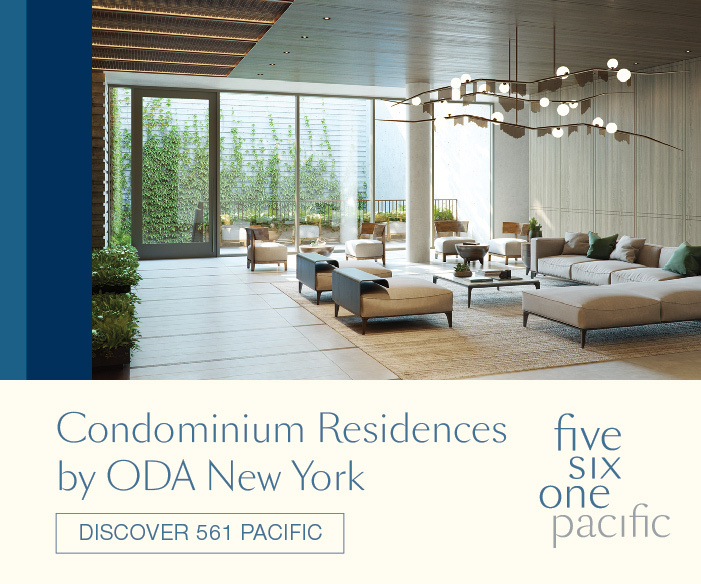 The remainder will be residential, and the units will be very large; the second floor will be a single apartment, while floors three through seven will each be split between two units. 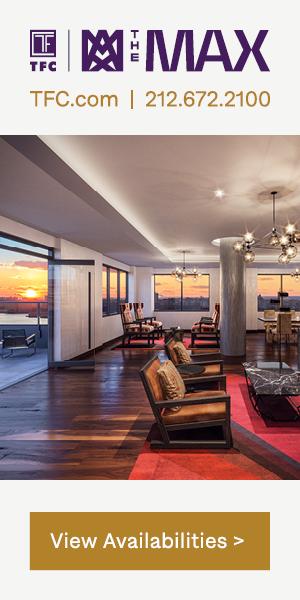 Up top, floors eight, nine, and ten will each be occupied by full-floor penthouses. 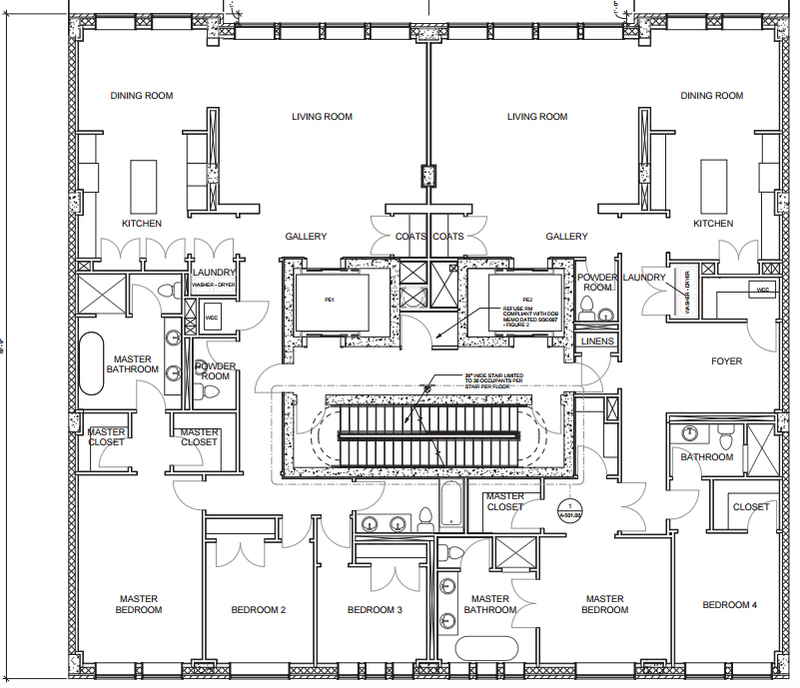 With fourteen apartments in total, they will average almost 3,000 square feet apiece. 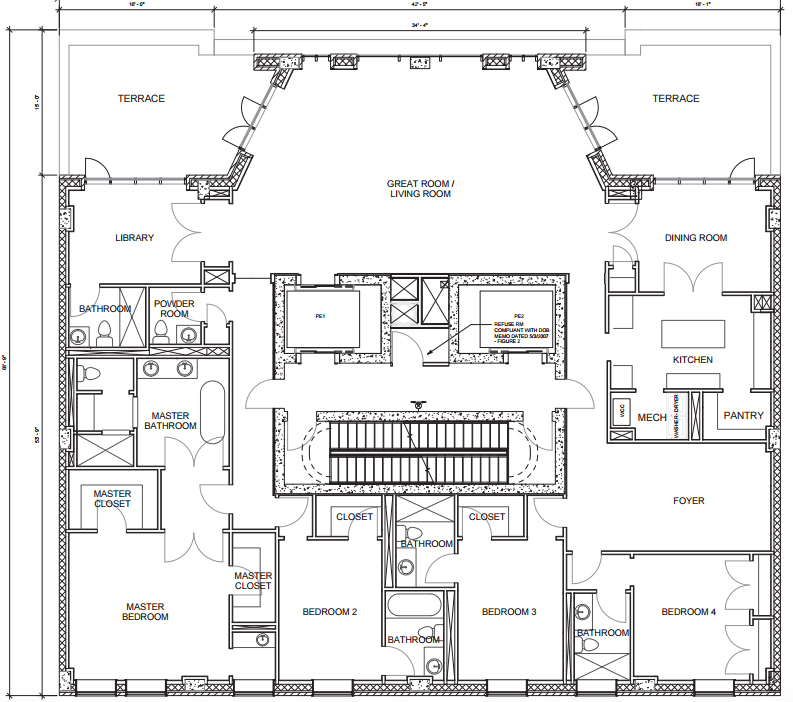 The drawings depict a fairly standard envelope for the first seven floors, with a setback then whittling the floor-plates down slightly for the top three floors. 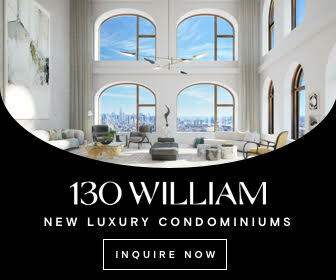 It appears the structure will take strong cues from the built legacy of pre-war New York, which is an important aspect of Roman and Williams other recent work in New York, including the Viceroy on 57th Street. 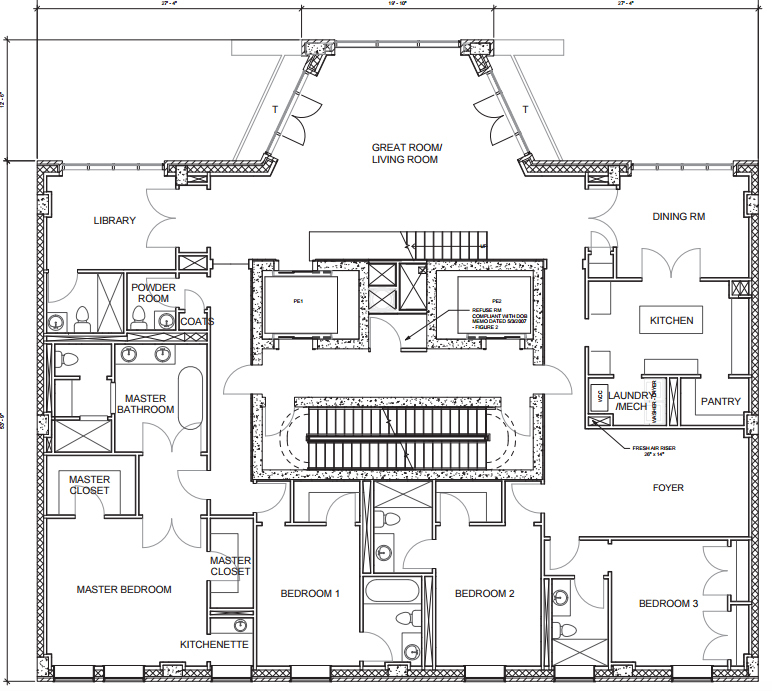 Floorplans show a very large terrace for the full-floor unit on the second story, which sits atop the retail space below. 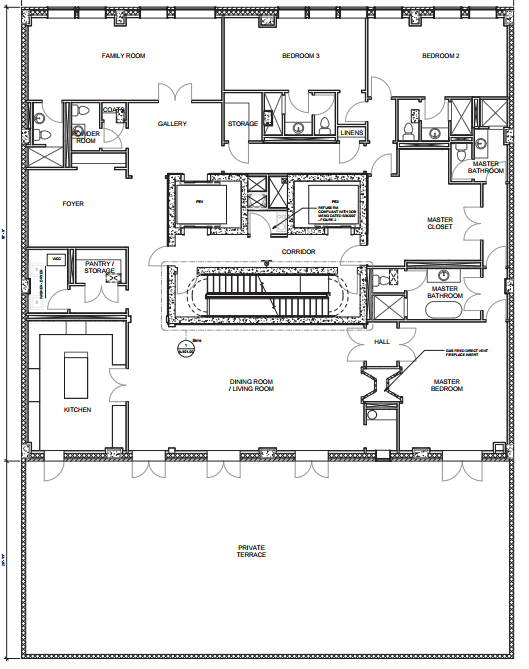 Plans are the same from three through seven, with the eighth floor also having large terraces above the two setbacks. From there, floors nine and ten also have small terraces on additional staggered setbacks, accessible from the great room. No pricing details have been released, but astronomical figures are all but guaranteed. While the High Line has emerged as a corridor for expensive new construction, 24th Street is emerging as the choicest block of all. 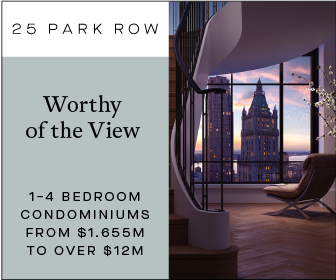 Besides 514 West 24th Street, both the neighboring 508 West 24th Street and 560 West 24th Street are also new, and work is also set to begin on Michael Shvo’s 239 10th Avenue, designed by Peter Marino. As for 514 West 24th Street, no expected completion date has been announced, but preliminary plans were disapproved in October, though they could have been dummy filings to avoid the new building code, so any hang-up is likely just administrative overhead. IBI Group is the architect of record.